If there’s one thing you don’t want to find in your food, its pellets of purpose-made poison. Unfortunately for Stapleford resident Tony Jones, that was exactly what he found following a recent visit to his local Tesco in Long Eaton. The father of two purchased a bag of ‘Fresh Greens’ salad leaves from the supermarket, part of the chain’s Redmere Farms range, and was horrified to make the discovery after he attempted to feed the leaves to his three guinea pigs - Tiger, Dash and Pippa. When all three refused to chow down, Mr Jones took a closer look and noticed that the leaves were in fact covered in slug pellets. 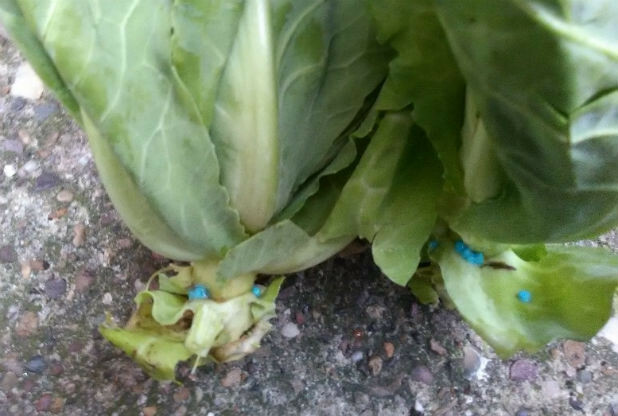 He told the Nottingham Post, “I noticed the other day that the guinea pigs were turning down the greens – all down the bottom they are riddled with blue slug pellets. Depending upon which of the common varieties of slug pellets were in fact found amongst the leaves – Metaldehyde or Methiocarb – of which we have no confirmation, the results could have been disastrous had Mr Jones’ beloved pets, or even worse, himself or his family, consumed the contaminated product. Metaldehyde pellets, which are by far the more common, are far less toxic than their Methiocarb counterpart and are unlikely to cause serious harm unless ingested in large quantities. Methiocarb pellets, on the other hand, are around 10 times as poisonous. They break down far more slowly, increasing the potential for exposure, and are capable or killing far more than the common garden slug. All in all, Mr Jones was lucky to have noticed the pellets. A spokeswoman for Tesco said, “We have robust food quality processes in place during the preparation and packaging of this product so we were surprised to learn of Mr Jones's complaint.